Gears of War is getting a tactical strategy game. Gears of War is getting a tactical strategy game for PC. Gears Tactics is coming, Microsoft announced during its E3 2018 press conference, bringing the Gears franchise back to PC. Inspired in part by turn-based games like XCOM, Gears Tactics lets players command iconic Gears of War characters on the battlefield against the Locust while searching for the horde’s creator. Taking place 12 years before the original Gears of War, The Coalition’s studio head Rod Fergusson announced that the game will be “character-driven” and feature “faster, more aggressive gameplay” along with boss battles, too. Players can cycle through abilities and weapons to take down enemies, and they must use careful planning in order to direct their units from cover to cover. Fans of this franchise will also be happy to hear that Gears of War 5 was revealed earlier today at E3. 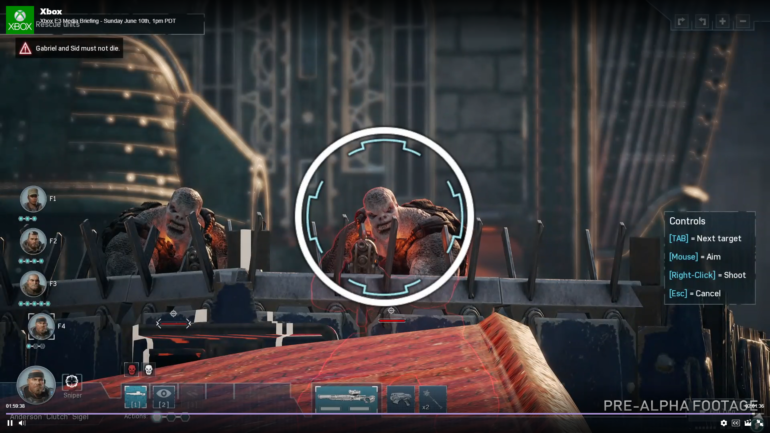 Gears Tactics is set for PC, and the game is in pre-alpha development. So far the game is planned only for PC. No release date was announced during E3 2018.